Poor dental health is a very common, yet often overlooked issue for dogs. Rotten teeth can be extremely painful, as well as can lead to a large variety of other illnesses and infections. If you notice your dog has particularly bad breath, doesn’t want to eat, stops chewing its food, etc., it is crucial to have a veterinarian do a dental exam to determine if your dog requires a dental cleaning or to have any teeth extracted. We perform various dental services, including dental cleanings, extractions, and x-rays. Dr. Dwan has also recently started performing root canals. Please call us at 506-388-8880 for more information! 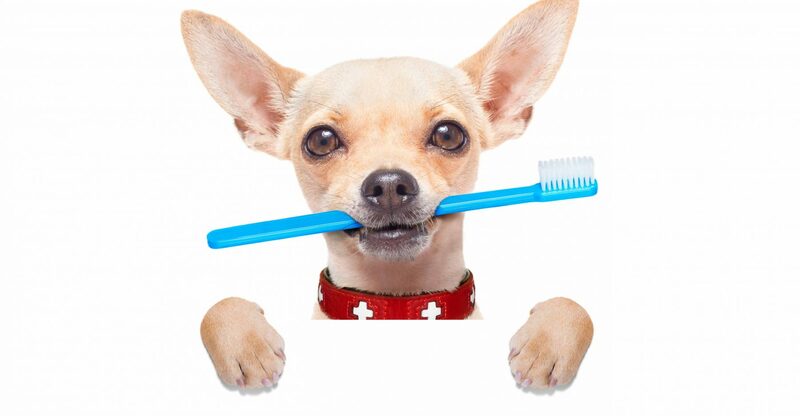 Ideally, your dog’s teeth should be brushed once a day. This isn’t always easy to do, so aiming for three times a week would be a great start! 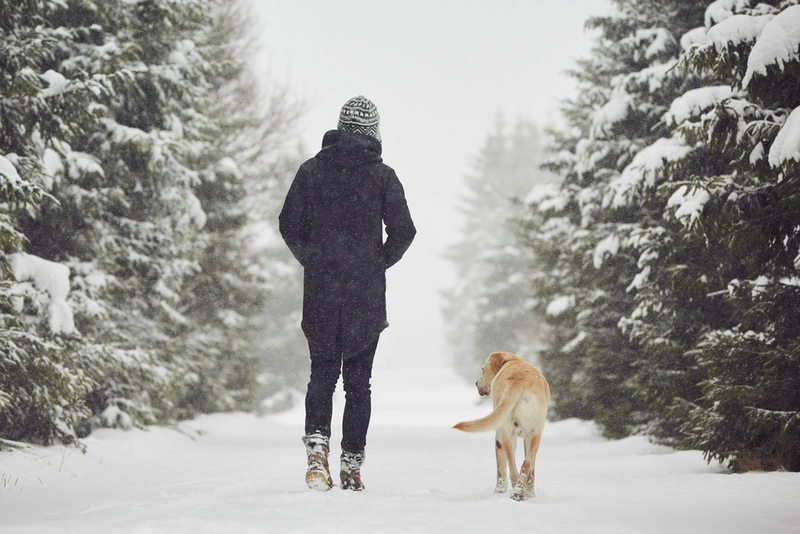 The more often you do it, the quicker you and your dog can settle into a routine. Dental problems are very common in dogs, especially as they get older. Tartar builds on the teeth and the gums can get inflamed. Just as any person who has had a dental problem before will tell you, these issues can be extremely painful and uncomfortable, especially when trying to eat. Sometimes, the teeth and gums become so painful, dogs will stop eating altogether. There is also the worry of infection in the mouth. If a tooth gets infected, it can cause an abscess, or worse, spread to the blood and become systemic. This is very dangerous and could cause the dog to become very ill, all because of one infected tooth! How do dogs fracture teeth? Fractured teeth are a very common problem seen in dogs. Their teeth are weaker than ours, with only approximately half the thickness of enamel. The fractures usually are caused by chewing on hard objects (rocks, bones, etc. ), or trauma to the tooth (hit by a car, etc). The teeth that we most commonly see fracture are the four canines (upper and lower fang teeth), the upper fourth premolars (largest teeth on the top of the mouth) and the lower first molars (largest teeth on the bottom of the mouth). These teeth are likely more popularly broken because they are the most functional. Why can’t my dog live life normally with a broken tooth? Teeth have a hollow middle area called the “pulp.” The pulp contains the nerves, blood vessels and connective tissues that allow the tooth to grow and stay alive and healthy. If the fracture in the tooth does not reach this cavity, your dog will likely not have any issues. You probably won’t even know the tooth is broken because they won’t show any symptoms that something is wrong! However, if a tooth is broken to the point that it is exposing the pulp tissue, it is extremely painful and leaves the tooth open to bacteria. This could cause a terribly dangerous infection in the mouth, that eventually spreads into the bloodstream and throughout the body. What are the symptoms of a painful fractured tooth? The most obvious way to know your dog has a fractured tooth is to notice that the tooth is actually broken, or being present and seeing it break. If you don’t see the broken tooth, some symptoms you may notice include bleeding from the mouth, an abscess or swollen area around the jaw, not eating or avoiding chewing their food, drooling, pawing at their mouth, and other signs of pain and discomfort or infection. How can you fix a fractured tooth? The best way to fix a fractured tooth while maintaining its functionality is by performing a root canal. A root canal is done by anesthetizing the dog and entering the tooth’s root, removing the infected pulp and cleaning out the empty cavity. The tooth is then filled with an antibacterial substance to prevent further infection, and a hard layer of the same white tooth composite restorative material used in human fillings is placed on the tooth as a protective outer layer. Why not just remove the broken tooth? There is also the option for complete extraction of a broken tooth. While this is often cheaper and quicker, extracting the tooth will remove all function that tooth provides and cause more pain and trauma than a root canal. However, every dog and every tooth are different, so it is important to discuss with your veterinarian which is the best choice for your dog! What should I do if I think my dog has a broken tooth? If you think your dog has a fractured tooth, you should make an appointment with a veterinarian to have the mouth examined. We are lucky to have Dr. Dwan at our clinic, being the only veterinarian in our area that currently performs root canals. Consider discussing with him the pros and cons of extracting vs. root canal treatment. Please call us at 506-388-8880 if you would like to book an appointment and make sure to let us know you would like to see Dr. Dwan if you are considering a root canal!